Become a volunteer with Sequoia Riverlands Trust and engage yourself directly with the stewardship of the land we all love. Create your own volunteer position – do you have a special skill that you would like to donate to SRT? Call and tell us your idea and we will help create a meaningful volunteer experience for you! Get outside, get connected, and have fun- all for a great cause! As part of our mission to protect and offer access to open spaces, Sequoia Riverlands Trust relies on many dedicated individuals to volunteer their time helping us restore and maintain the health of our nature preserves, and educate our community about sustainability. We offer a wide variety of volunteer opportunities for any age, physical ability, and interest! 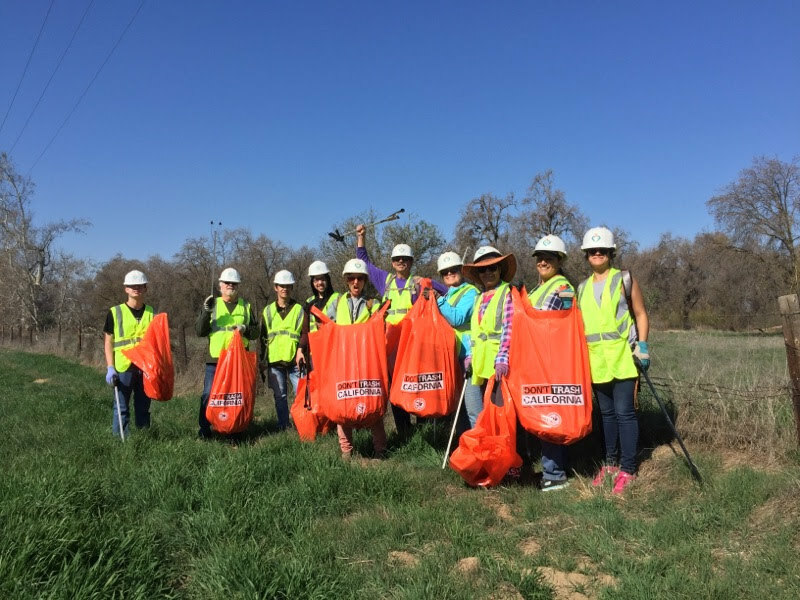 Spend time beautifying and restoring your community, work with students from local schools, meet fellow outdoor enthusiasts, enjoy spectacular views, and learn more about the history of the San Joaquin valley from our seasoned naturalists. SRT staff will also track your volunteer hours and offer rewards as part of our new Volunteer Rewards Program to show our appreciation. Contact Bud Darwin, SRT's Education and Volunteer Director, to get started. 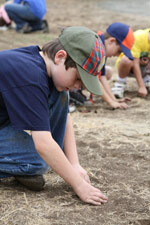 Or check our our calendar for opportunities to work with us or train to be a volunteer naturalist. What kinds of volunteer opportunities are available? SRT offers a wide variety of ways to get involved with your community’s outdoor spaces. Activities include planting native plants for our restoration and mitigation projects, trail building, trash clean-ups, assisting with environmental education presentations, and more! Where and when do these events take place? 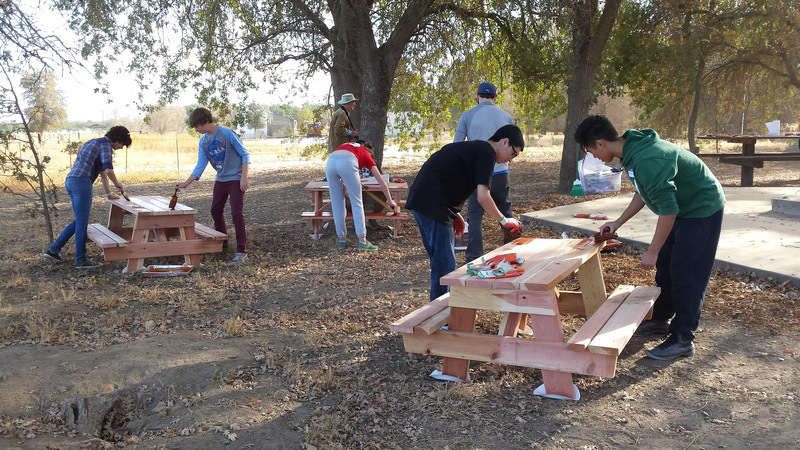 Typically, volunteer events are hosted at one of SRT’s six nature preserves in the San Joaquin Valley. We offer carpooling and send out emails with event details on our monthly volunteer newsletter at the beginning of every month. Our volunteers range from elementary school children to retired individuals. School or college classes, youth groups, and businesses are all welcome. Anyone is welcome to attend! Let us bring the volunteer experience to you! Interested in volunteering but not quite sure where to start? Sign up for our monthly volunteer newsletter to find out what’s happening near you, and let us fit your interests with one of our many volunteer opportunities!